Give a good answer to this question in the Comments below and win one of five copies of July guest Sue Reid's novel, By My Side. What place, monument or building most inspires you with a sense of its past? We're afraid our competitions are open to UK residents only. was a tool of my grandfather's trade. Any guesses? My childish impression of my grandfather was of a man who knew lots of people, most of them with funny names, and that he sometimes had rolls of banknotes in the inside pocket of his commodious coat. I had no idea he was a criminal. Between 1853 and 1961 the only legal way to bet on a horse race was at the track, and that was no use to the working man, stuck at his factory bench for fifty weeks of the year. Necessity being the mother of invention, the bookmaker's runner was born. I can see that my grandfather had all the qualities required in a bookie's runner: sociable, reliable, discreet. His betting slips were written on scraps of envelope or the back of a cigarette packet and the punters' names were disguised. That's why he knew all those men with names like Nobby and Bandy and Half-Pint. He also - how clear it becomes now - was very friendly with the local policeman, who I suppose should have been nicknamed Blind-Eye, and had a slightly more formal relationship with the only man in the neighbourhood who owned a car. Mr Taylor. He was the bookmaker and Grandad was his runner, earning a nice but illegal little commission. The bets went into a leather bag which was secured with a time-lock before the race started. That little gadget ensured there could be no betting after the Off. Some bookie's runners worked on street corners. My grandfather was more of a Lounge Bar man, but he also did business in the kitchen while my grandmother pretended to polish the front door knocker and, I now realise, kept an eye out for snoops or zealous new bobbies. Sunday morning was pay-out time for those who had winnings and I recall one week when the kitchen floor was carpeted with enormous white £5 notes. A bad day for Mr Taylor, but my Grandad seemed to have done all right. The following week I accompanied him into the big city where he bought me a knickerbocker glory and a fountain pen and treated himself, ever the Dapper Dan, to a very expensive Crombie overcoat. He died in 1959 and so didn't live to see his role disappear when off-course betting was legalised in 1961. I wonder what he'd have done with himself after betting shops appeared on every High Street. And I would dearly love to know what became of his clock bag. 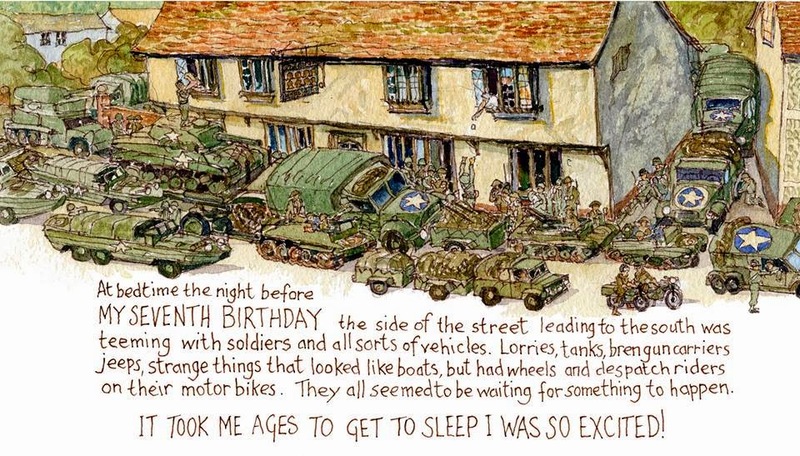 Our guest for July is Sue Reid, whose work is always triggered by a historical event or character. Sue Reid has always had a passion for history, and for writing stories about it, but it wasn’t until she had grown up and tried several careers that she decided to try and get a story published. 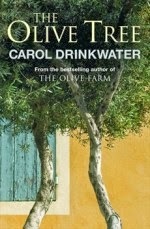 Her first book, Mill Girl, was published by Scholastic in 2002. Since then she has written a number of short stories and dramas for schools radio, and has had several more books published. First love. Surely we can all remember it - its pain, its heartache, its joy. My book By My Side is about first love, between two teenagers living in Amsterdam. But unlike most of us, these two teenagers had to contend with issues that went far beyond the usual teenage romantic ones - Katrien was a Gentile, and Jan Jewish – and the time and place they lived in was the Nazi Occupation of the Netherlands in WW11. What made me choose such a time and place for a love story? I’m not sure that I can answer that easily. Maybe it’s the stories that choose us, rather than the other way round. 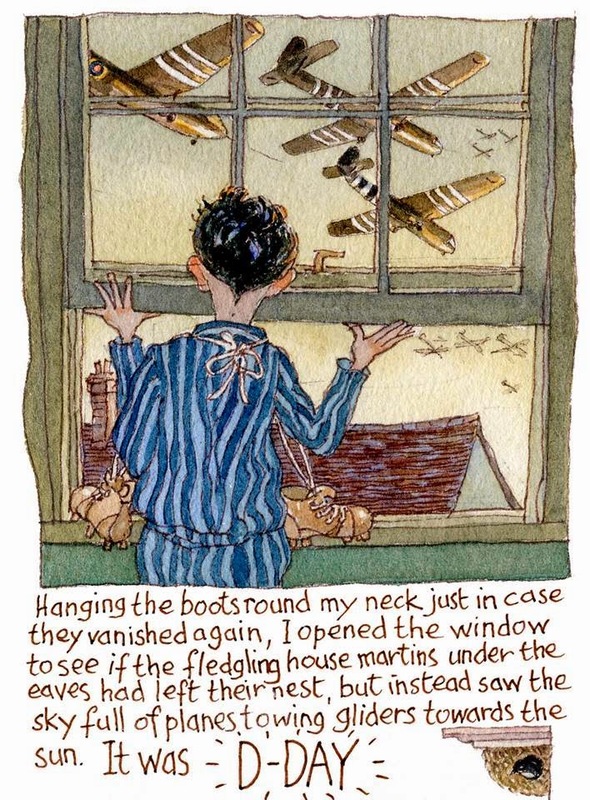 I’d often found myself thinking about the Nazi Occupation, and wondered what it must have been like to live through it – a fate we in Britain were fortunate to escape. 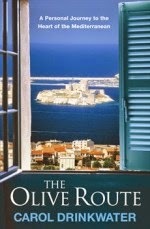 And when I thought of the Occupation in Europe, it was always Amsterdam that came to mind. I’d visited Amsterdam many years ago, and been bewitched by it – its beauty, its culture and the friendliness of its people. It was in Amsterdam too that I encountered one of the most poignant memorials to Nazi persecution I know – the annexe in the canal house on Prinsengracht, now a museum - a short walk from Herengracht where I was staying - where Anne Frank and her family hid from the Nazis. Since I visited it the museum has expanded and recent pictures of the exterior show long queues waiting outside. There was no queue the day I went, and it wasn’t crowded inside, but the atmosphere was so overpowering that I found I couldn’t stay inside it for long. The annexe had a profound effect on me then and I can recall it even now. 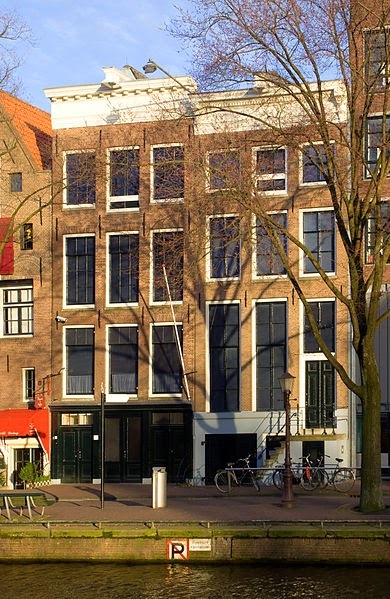 Round the corner from the house is the famous life-size bronze statue of Anne Frank, sculpted by Mari Andriessen. It stands in front of the famous Westerkerk, surely one of the city’s most beautiful churches, inside which fittingly the artist Rembrandt is buried. The regular chiming of its tower clock comforted Anne - its familiarity a reminder of another time, a safer time. Other memorials in Amsterdam remind you of the Nazi Occupation – in Jonas Daniel Meijer Square, in front of the Portuguese synagogue the statue of ‘De Dokwerker’ stands framed by trees. It too was cast in bronze by the sculptor Mari Andriessen and unveiled in 1952 to honour all those who took part in the General Strike of February 1941. It was in May 1940 that the Nazi ‘Blitzkrieg’ had overrun the neutral Netherlands and imposed a policy of ‘Nazification’ and anti-Jewish decrees on the country, beginning with the gradual dismissal of Jews from public life. The strike was organized by the Communist party – banned by the Nazis like all other Dutch non-Fascist parties - as a protest against the treatment of the Jews and the forced labour draft that sent young men to work in Germany. There is nothing idealized about the sculpture – it shows a rather portly man, stomach bulging over the waistband of his trousers - and to me is all the more affecting for that. The strike, which began in Amsterdam and spread to other Dutch towns and cities, was the first organized protest against the Nazis’ treatment of Jews in Occupied Europe. Reprisals were harsh, but in spite of this two more strikes were to follow, though resistance after this was mostly conducted covertly, underground. Each year now the town’s officials and members of Holocaust organisations march past the statue, in remembrance of the strike, on its anniversary, 25 February. In the heart of the Jewish Cultural Quarter stands the Hollandsche Schouwburg (Dutch Theatre), its façade restored, now a teaching centre, and memorial to the many Jews who were held there, while awaiting deportation. Memorials like these help keep a city’s past alive - the stories of the people who lived there woven into their bricks and mortar. 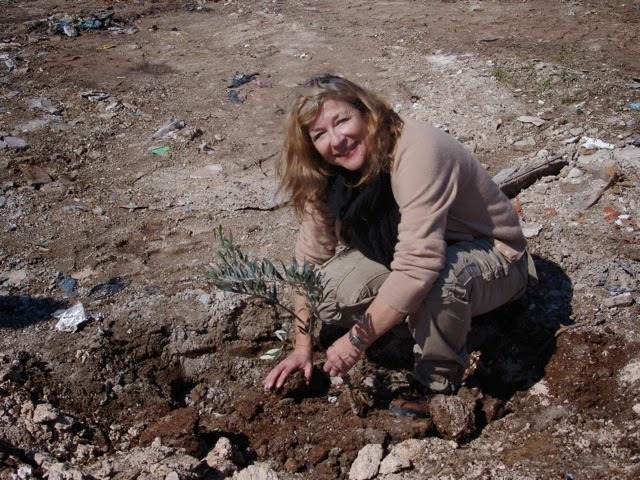 Stories like Katrien’s and Jan’s – two young people brought together and divided by war. I didn’t know when I visited Amsterdam that I would write about it one day. That Katrien and Jan would walk down the streets I walked down, gaze over the canals I gazed over, wake like me to see Herengracht muffled by winter fog. 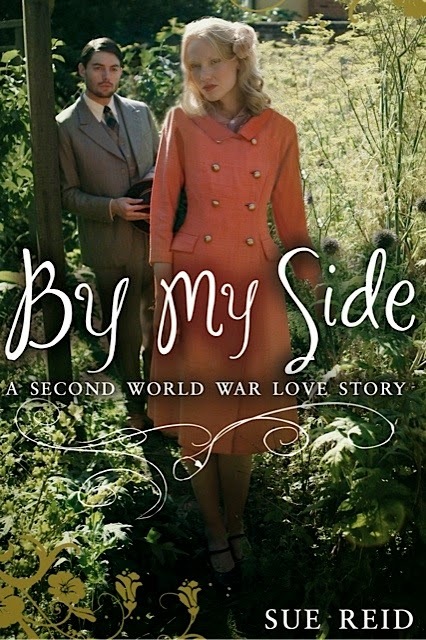 I begin their story early in 1942, when a chance meeting with a courageous boy who goes to the aid of an elderly man inspires Katrien to begin a diary. Her unfolding friendship with Jan she tries to keep secret – within the pages of her diary - to protect him and their relationship. A diary written now about a long gone time. But I hope there is something of the feeling of that time and place in its pages, of the poignancy of first love experienced under such difficult conditions. Of course there are many other places where the past is preserved. When I was researching my book I spent hours listening to recordings, reading newspapers and obituaries, diaries and other personal accounts written by people who lived through that time, discovering tales of heroisim like Jaap Penraat’s, who safely marched hundreds of young Jews out of the city at the height of the Occupation – a real-life escape I model my fictional Jan’s on. But there is I think something particularly affecting about walking about a city and suddenly being brought face to face with its past. A monument maybe. Or an old building. The atmosphere in a house. It lingers in the mind, helps us to remember. And it is important that we do. The past inspires us. Teaches us. Warns us. In a year like this, when we remember an earlier world war, when the ugly spectres of extremism, racism, fascism, are rising again, its messages are timely. Did you have this? Did you? 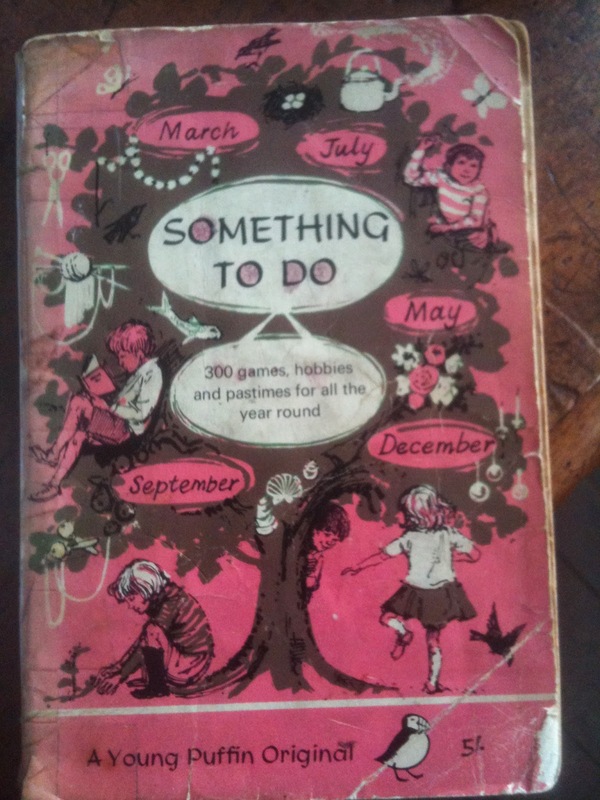 And if you had it, did you have one of these inside? Not with my name, obviously - but did you have the Puffin Club Bookplates? Where you a Puffineer? If I say 'Sniffup', will some ancient tribal voice within you cry out 'Spotera!'? Are you interested in my red-plastic-foldered full set of Puffin Post? If so, please be in touch. And this history is important history, to me at least. It concerns dates. 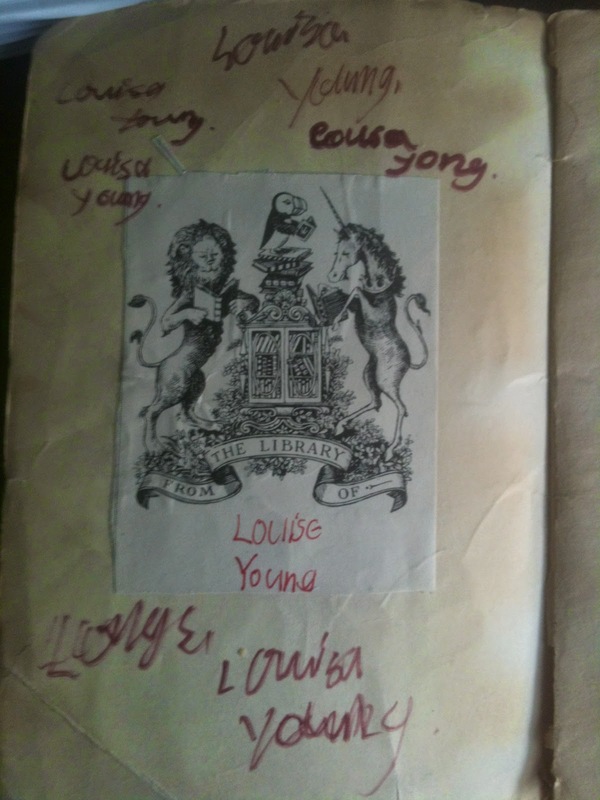 According to the bookplate, the book belongs to Louise Young. But then, in the same writing, we have Louisa Young, written five times, all around it like a garland. Five times! 'How must she have felt, when writing that? Why did she do it?' Well, I can tell you. I remember it clearly. I was changing my name. There was a new girl at school, called Louise. I didn't like her. I didn't actually like the name Louise, either - sounded like wheeze. I had been waiting for my chance, gathering my courage. I remember writing the new names many times, so it would be strong enough to outweigh the old name. I remember writing it in different pens so it would look as if it had been written on different occasions, which I felt would give further strength to its case. I misspelt my surname, so as to give variety within the evidence. I think I was already reading Agatha Christie, though it seems unlikely with that bad handwriting. I had definitely read the Tales of Ancient Egypt (Roger Lancelyn Green? A Puffin Book, anyway) and I knew that Isis had power because she knew Ra's real name. I think I may have been doing different writings on purpose too. To mystify anyone who might investigate, and find that my real name was, in fact, Louise, and would charge me with the crime of misrepresentation, or cart me off to a dungeon or make me get rid of my new beautiful romantic dashing Italianate fraudulent A. And now, a little more historical analysis gives us crucial information about this important ontological shift: the date. 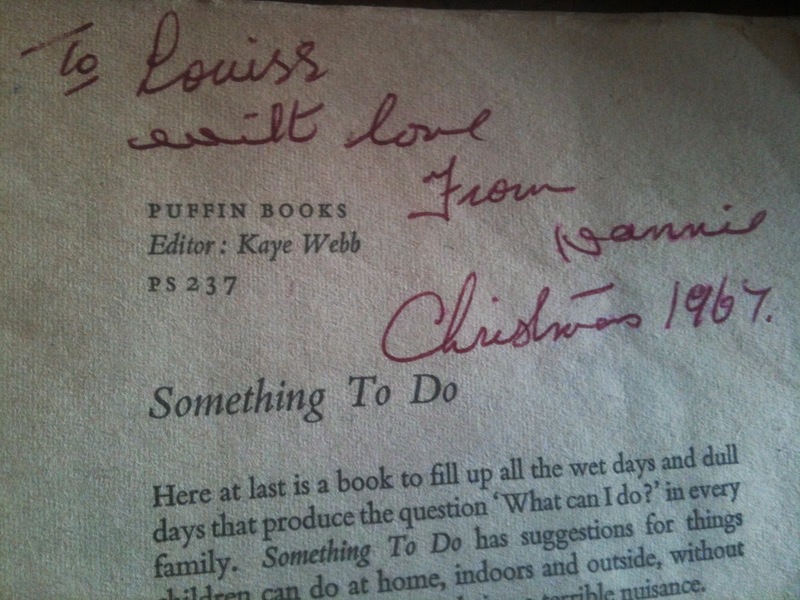 'To Louise' (old version, nb) 'with love from Nannie, Christmas 1967'. Nannie had not yet got with the programme re the new name, and her handwriting is of a generation which by now often, can't write anymore: a handwriting learnt in the 20s and 30s. Nannie is 92 now. She does write, though she's largely blind and its largely illegible. I can read it though, because mostly she says the same things: thank you for the - , it was so lovely to see -, my leg is - , God bless and love to you all. The were six of us, and Nannie was the extra mother. Undoubtedly I was a terrible nuisance, but I loved the book and I'm sure it shut me up. They weren't very good, though I was excellent at pomanders to hang off them. I had a box, full of things to make things out of. I might have made the box, come to think of it. 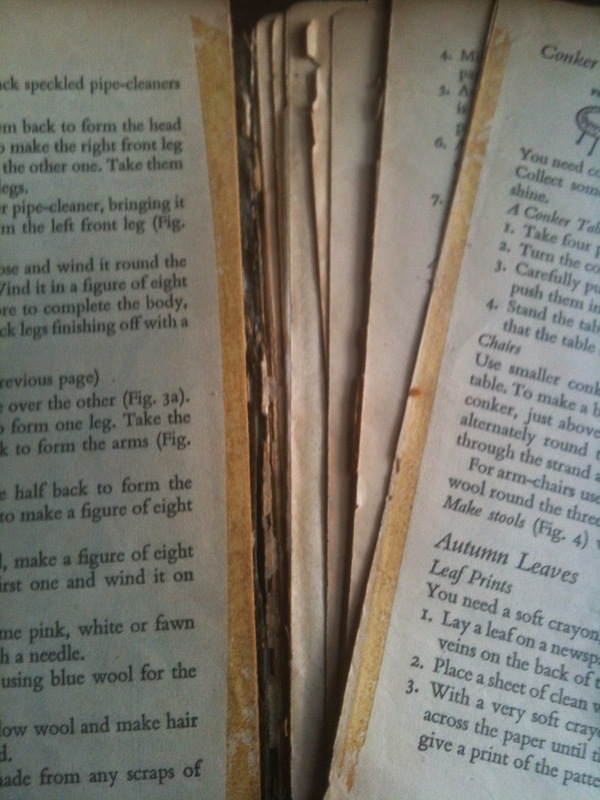 There was a lot of cutting and folding, and tabs, and glue. Cotton wool. Pompoms made of wool I never got the hang of. But carnations made from tissue paper, or paper hankies! Oh, and it was the sixties, there boxes of paper hankies in which the paper hankies were all different colours. Violet, lemon, pistachio (were there pistachios then? Perhaps not) rose and tangerine. I think my mother was a little annoyed. The bouquet of carnations was adorable though. Note there is no nonsense about this being an outfit for boys. Nothing was gender related. It was sewing, cooking, building, playing in bed (February, month of colds - I can still make a delightful mouse out of a handkerchief, and I know how to make him jump). This Month's Pet - April, a Muscovy Duck. Weeding,with a lovely little chart of illustrations: Sowthistle, speedwell, plantain, scarlet pimpernel. 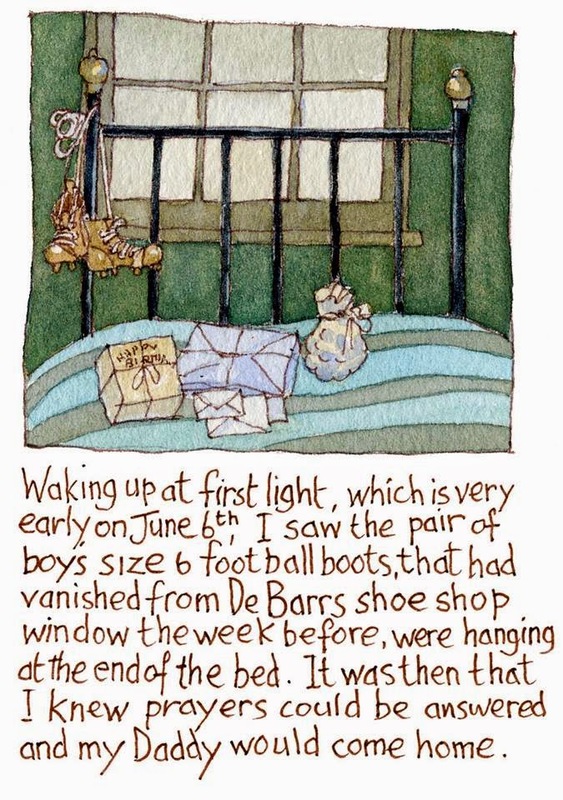 Oh, and the illustrations are by Shirley Hughes! 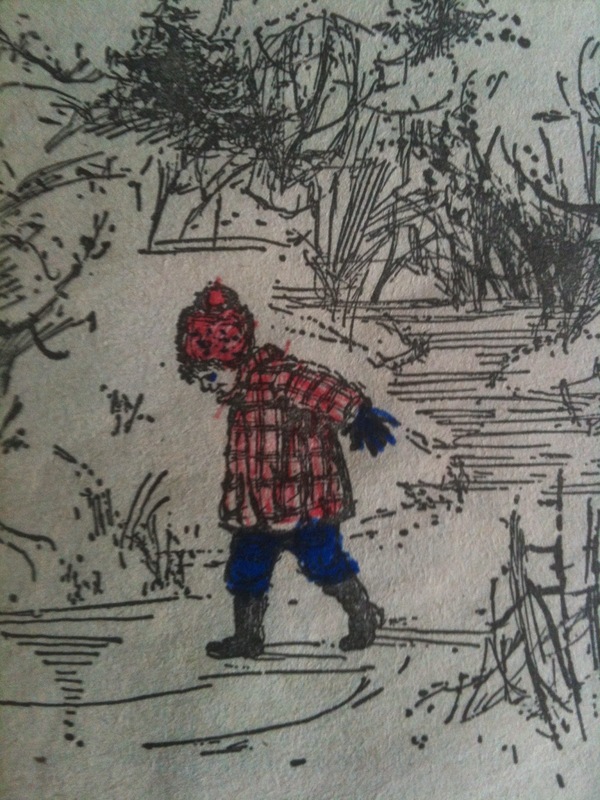 Colouring in, again, by me. I still don't know who wrote the book. Here is the mysterious introduction. 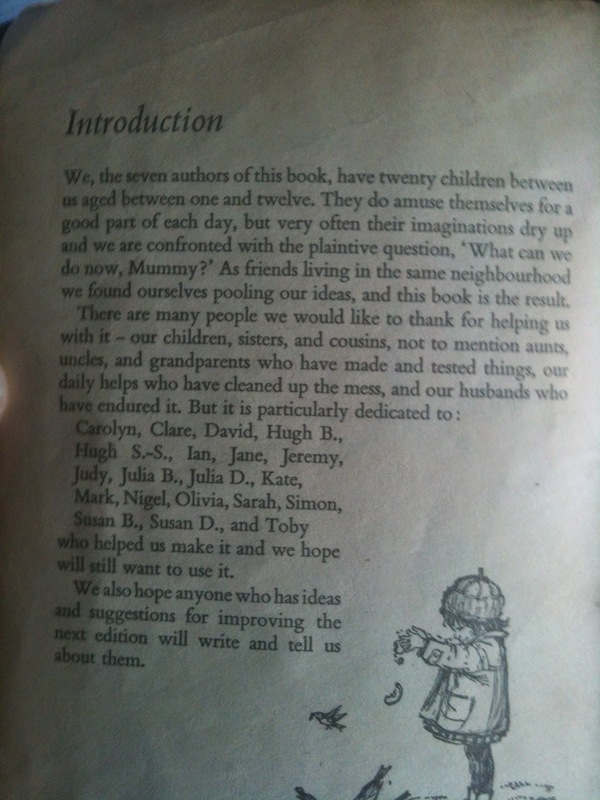 Once I got round to reading it (several years later I suspect - what nipper reads introductions?) 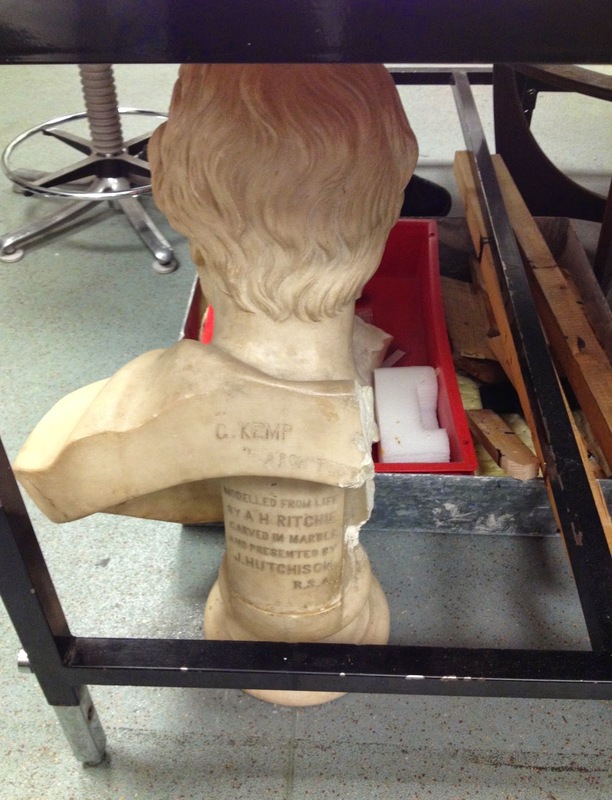 I realised Septima was not some Roman lady so grand she had no surname. For a while I examined each family I met, seeking to match up the children's names, the Julias and Davids, Simon and Ian, with the list here, just in case, to see if I might catch them out. Nancy Shepherd was the editor. But the seven who add up to Septima remain a mystery. The advice they gave was good, it encouraged us to think for ourselves, and remains in my mind as the kind of thing I think I have always known, like a Dylan melody or a Shakespeare quotation. But I must have learnt all those things somewhere. 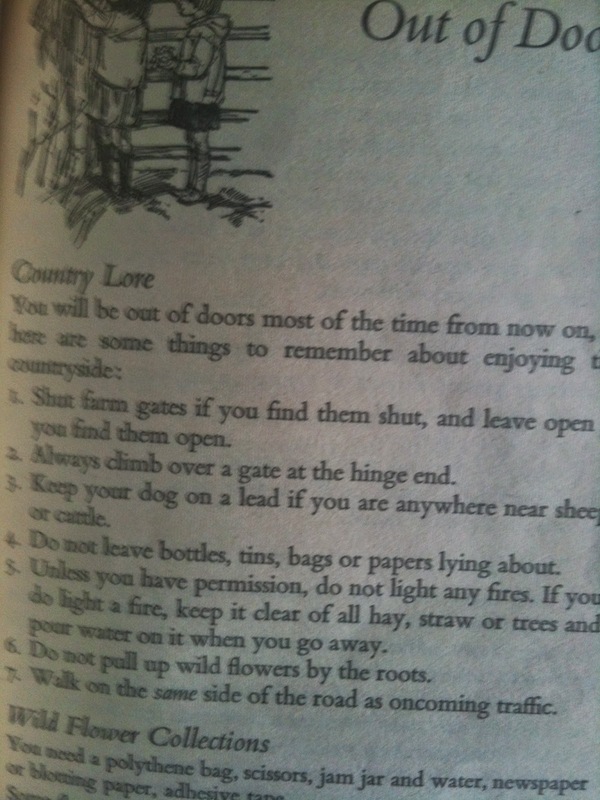 'If you do light a fire - '! Lord, the nostalgia for back then when children were treated reasonably. My friend Chris bought a combine harvester when he was fourteen, and hired himself out with it in the summer holidays. Many years later Puffin, who have always been a lovely publisher to me, went into a bit of a tailspin because in my ancient Greece book, Halo, I wanted to give instructions on making a bow and arrow, and how to cook baklava. Everything had to start with 'first find a grown up'. Pah. There is one thing that I do it to this day. Seeing the diagrams again brought tears to my eyes. The little legs! The little fat conkers! They look like tiny good-tempered spaceships . . .
And I adjusted it. 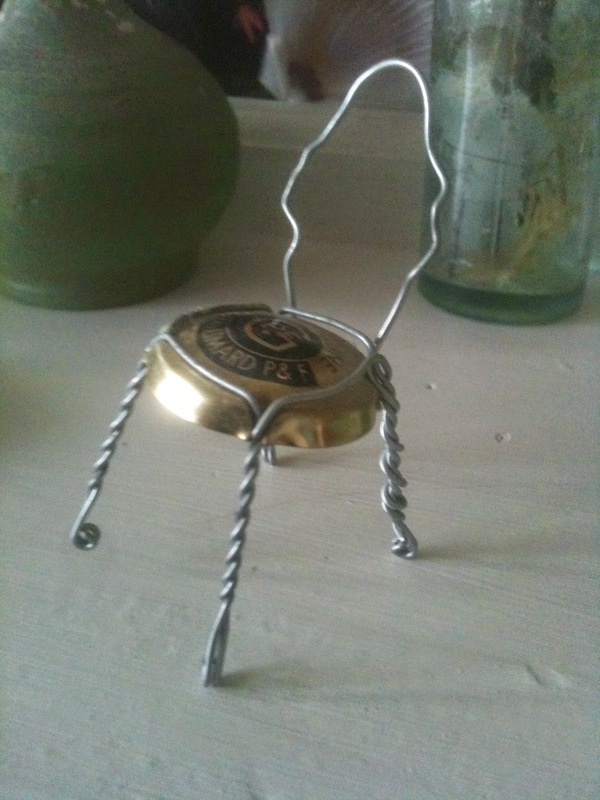 Behold: the Champagne Cork Chair. You will need: a bottle of champagne (make sure it's the good stuff), and a pair of tiny pliers, though you can do it with a pair of tiny hands and your teeth if you're strapped for pliers. 1) Open the bottle and drink the contents, with friends (the easy bit). 2) Unravel the wire from round the bottom of the cage, and slither it out through the loops (the tricky bit). 3) Bend it into a chair-back, using the existing curves to make a slight 18th-century feel. 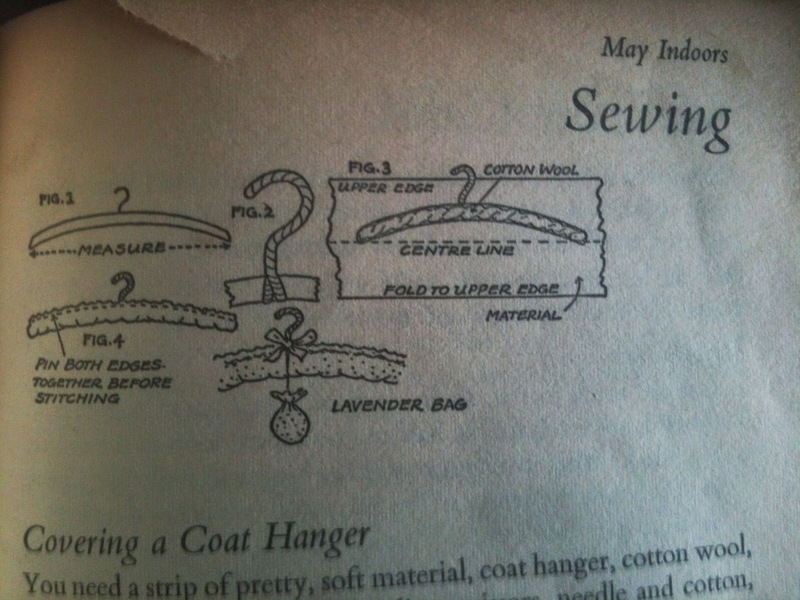 4) Twist the ends tightly and neatly round the legs (the other tricky bit). 5) Accept lavish admiration (the other easy bit. 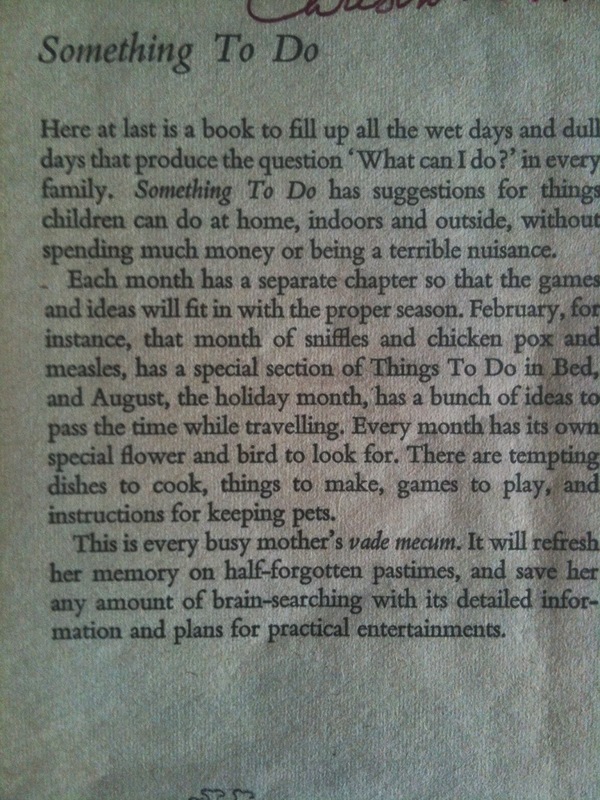 Look how loved this book was, and how well used. Tomorrow, I might make some things. Or just think about how much I learned. This is what it says on flower arranging, and I do believe this is extremely good advice for any child on how to exist at all. 'Think about each thing and when you have studied carefully how and where it grows, then you will have a feeling for it and know how to use it'. It was only an hour, but what fun. 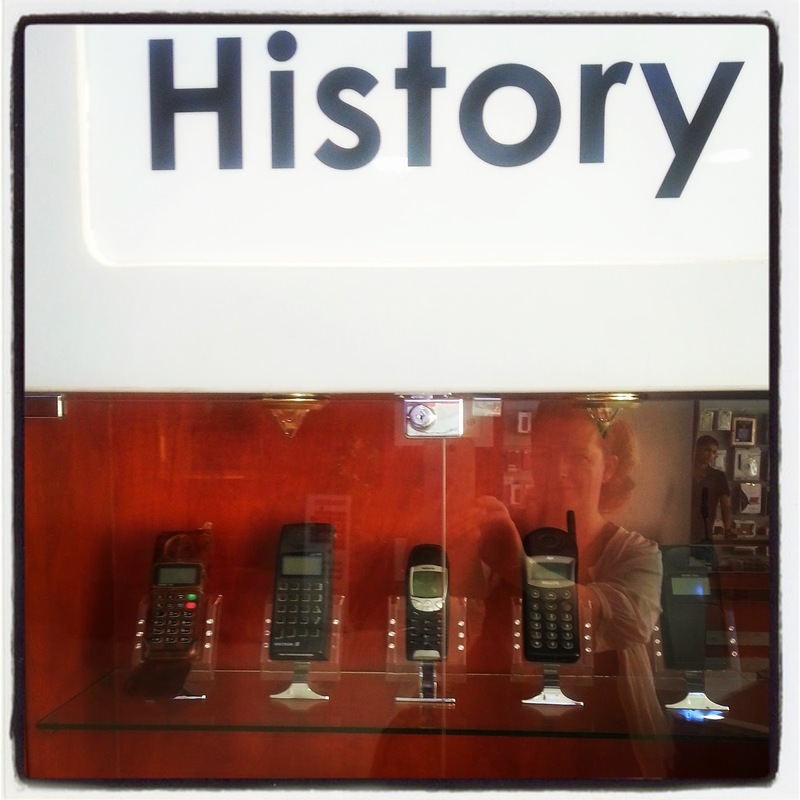 With a little group of local history fans, I was allowed into the store where Edinburgh Council keeps the exhibits for which it can't find space in the city's many museums. life's great enthusiasts, a skilled archaeologist and conservator, and probably a natural hoarder, too. 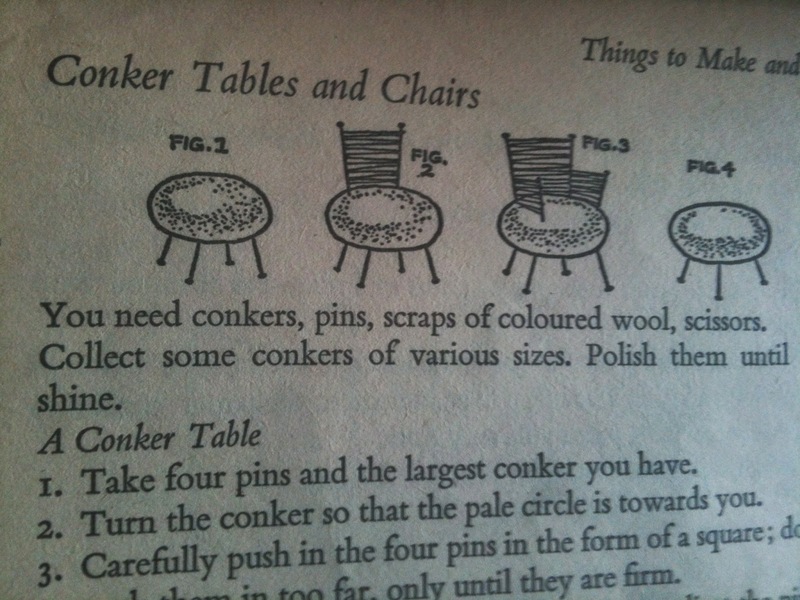 Once I got over my shock at the number of 20th century domestic objects that looked rather too familiar, I was hooked. and objects accidentally broken while on display. This student from France was painstakingly restoring a pot from Lauriston Castle,smashed when an owl landed on a mantelpiece. 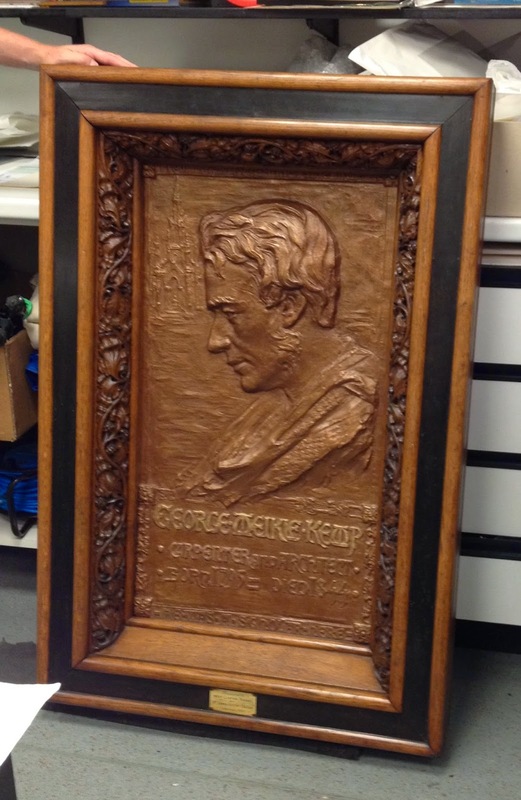 Mr McAuley himself has recently cleaned this ornate memorial to George Meikle Kemp, the self-taught architect who designed the Scott Monument. Under a table nearby was the bust on which the framed portrait was based, itself the victim of an accident, waiting for help. The store was a glorious mixture: This is an 18th century overmantel depicting a local legend featuring a ghostly dog. It (the picture, not the dog) was rescued from someone's coal cellar and donated to the city. 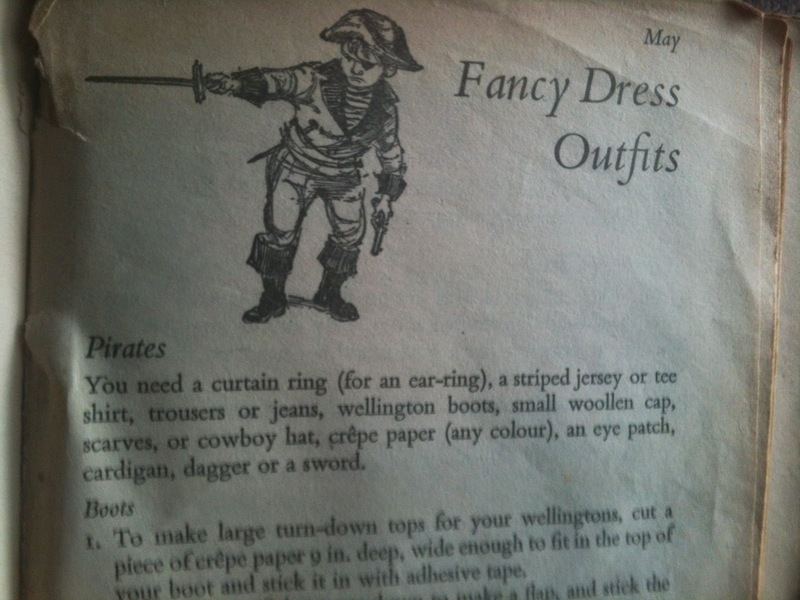 Not far away is a set of pantomime costumes -- so many were sent in by a theatre that many more have been passed on to local drama groups. The numbers, by the way, should read 15 and 18 - some wag long ago blanked out the1s. And the dead arm hanging over the rail alongside belongs to a mannequin from a defunct display. 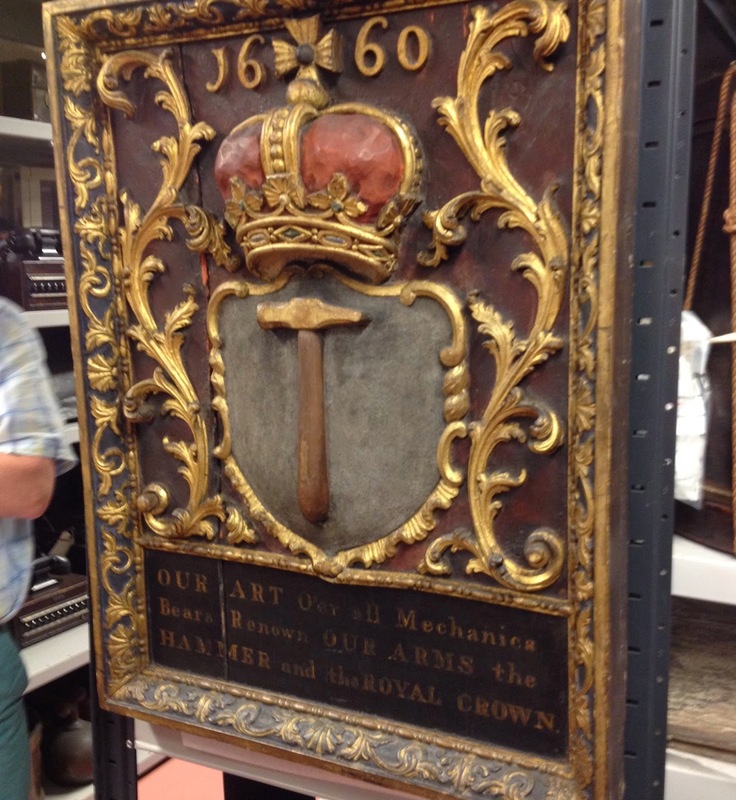 Round the corner is a seventeenth century sign for the guild of Hammer-men. On the shelves behind that, there are radios, elderly computers, and even brown cardboard boxes of human bones dug up when they were preparing for the tram (which, incidentally, has no ventilation, is like an oven in the summer heat and - thanks to the scandalous budget over-runs - doesn't go anywhere near the burial ground that was disturbed to make way for it). If I wasn't so old, I might have mistaken these hairdryers for ancient instruments of torture. Usher Hall have arrived from an architect's office in England. We were told that they include fine drawings for even the smallest detail of door furniture. 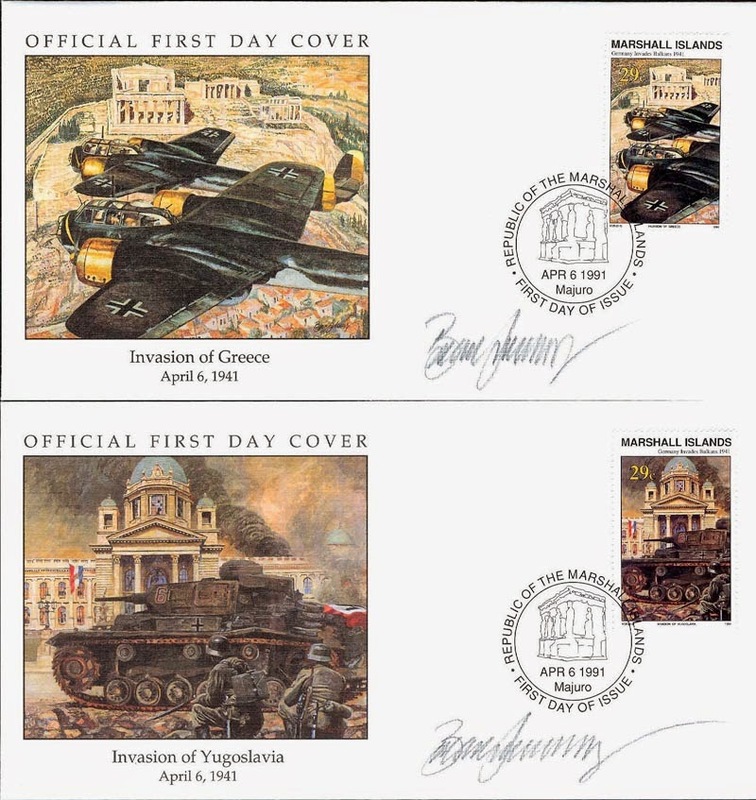 They will go to an archive where they can be curated properly, and perhaps even (as originals or digital copies) displayed in the hall itself. But I'm a dinosaur. I like museums to be stuffed with the unexpected, and graced with labels explaining what you are looking at, where it came from, and why it's there. In the new world of cafes, push buttons, am-dram re-enactments and play areas, I have no hope of seeing that style of display come back in my lifetime, but I bet it will one day, along with employment and respect for the people who know about, and look after, the contents of our museums. 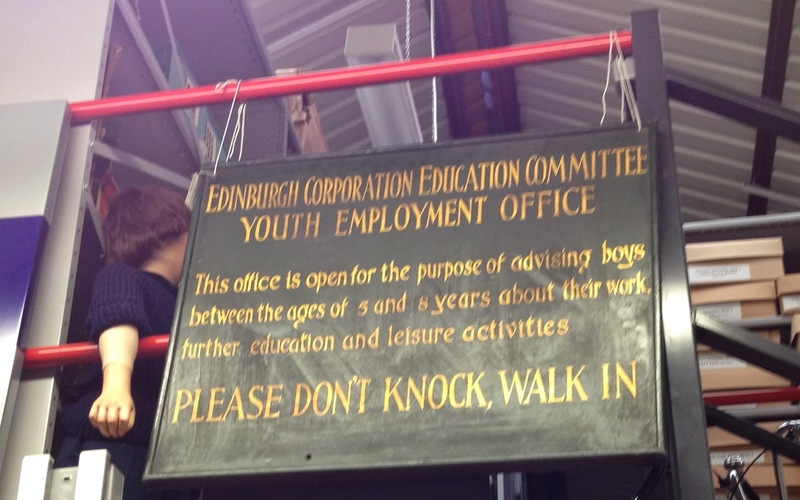 Until then, I'll rely on places like the Edinburgh Collections Store to cheer me up. In 1158, Thomas Becket, chancellor to King Henry II set out on a diplomatic mission to France aimed at promoting a marriage alliance between the two royal firms, and also one suspects playing a game of 'mine's bigger than yours' between Henry II and King Louis VII. Rather like modern commercial trade promotions, Becket arrived in France with a cavalcade that reflected all the riches of the empire over which his master was lord. The circus had come to town and announced its arrival with music and fanfares. The entourage consisted of over two hundred mounted followers to add dignity to Becket's standing, among them knights and pages, clerks, stewards and servants, all of them arrayed in costly garments. Becket himself had twenty four changes of clothing, most of which were worn once and then bestowed as gifts. He had several packs of hunting dogs with him and various birds of prey from his mews. There were numerous baggage wagons each pulled by five horses in line. Each horse had a groom and each groom had a mastiff dog as big and strong as a lion to guard the wagon. Two of the wagons carried barrels of ale for handing out to French bystanders who were not familiar with such a beverage. The rest of the wagons contained more food and drink, cushions, bed linens, furnishings, and various other items of household paraphernalia - all high status and embellished. Beyond the wagons came a caravan of twelve packhorses laden with the most valuable items - books, gold and silver plate, the items of Becket's chapel, basins, spoons, salt cellars, rich vestments. Each packhorse once again had its groom, and on each pack animal's back, a monkey had been trained to sit like a little jockey. The monkeys themselves were intended as gifts for the French high nobility and clergy. While researching and writing my forthcoming novel THE WINTER CROWN due out in September, I tried to imagine what it would have been like for the people who had to gather together this menagerie - the sheer logistics of assembling all the different aspects, and then transporting it across the Channel. It must have been daunting but from reports in the chronicles, it appears to have succeeded and been one of the wonders of its age. A scene in the novel required me to write about one of Becket's monkeys. Not being a subject I had covered before in my research, it was interesting reading up on the background of such creatures in medieval daily life and I thought I'd share some of the information I came across. When Medievals referred to monkeys they meant both the tailed and the untailed - they didn't differentiate between monkeys (tailed) and apes (untailed) as we do. Tailed monkeys were the one of choice though and seem to have been widely available in Western Europe in the twelfth century. They were popular bets, especially among members of the clergy, although not everyone was enamoured, and Hugh of St. Victor was of the opinion that they were 'filthy' and 'detestable.' 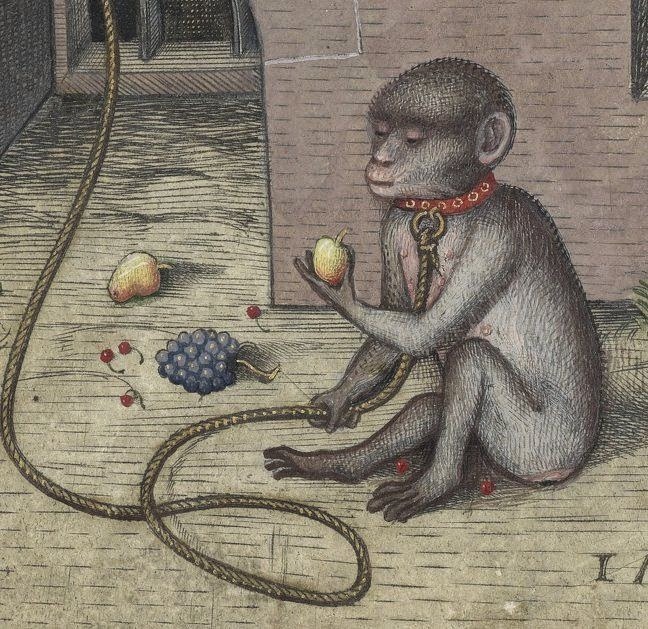 Scholar Albertus Magnus in his De Animalibus opined that while monkeys might play with other pets, they should never be viewed as completely tame and could be dangerous. He calls it 'a trickly animal with bad habits.' He describes monkeys as eating vermin found on people's heads and clothing. However, when not dining off their owner's parasitic occupants, monkeys would be fed a variety of foodstuffs, but nuts were a staple. Chronicler Richard of Durham reported on Robert of Coquina, Bishop of Durham 1274-83 who kept two spoiled pet monkeys that he fed on peeled almonds from a silver spoon. Monkeys could be tamed by being chained to a heavy block, and they invariably wore a collar and chain. They were, of course, a high status pet to have and were frequently given as gifts, being seen as particularly suitable for clergy and women. I was also interested to find out that animals in the Middle Ages, while having personal names, also had generic ones. Redbreasts were called Robin, pies were called Mag, Wrens were called Jenny. Tomcats were Gyb and monkeys were Robert. I enjoyed making use of that detail in the novel! 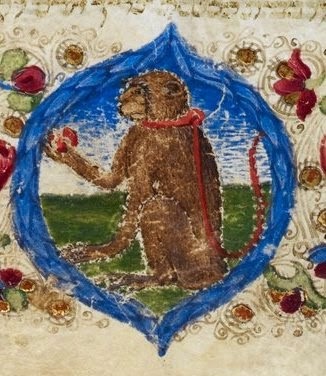 Monkeys are ubiquitous in medieval imagery where frequently it is a symbol of sin, malice, cunning and lust -all the baser elements of humankind. They also stood for folly and vanity.- although none of this prevented them from being the popular pets of clergymen - perhaps as a constant reminder of the sins and follies of mankind! It is ironic that Thomas Becket, a future Archbishop of Canterbury and martyr-saint should have travelled to Paris with twelve such in his entourage! You might have read in your newspaper, a hundred years ago today, that Black Jester had won the St George's Stakes at the Liverpool Races; Yorkshire had beaten Nottinghamshire at Leeds, by 97 runs; rain had spoiled play in the Hampshire v. Sussex match at Southampton. The game ended in a draw. Source: Daily Herald © Trinity Mirror. Lively scenes were witnessed in the Belfast Assize yesterday when Miss Dorothy Evans*, the Suffragist organiser, refused to allow her trial to proceed. The judge asked her to remember she was a lady, whereupon she declared she stood there as a woman. The accused interrupted so frequently that the case had to be adjourned. On resuming she informed the judge that she did not intend to allow the trial to go on. The judge then adjourned the case to the next Assizes, ordering the accused to be kept in custody. The Cornishman further reported the annual 15-day training of the Cornwall R.G.A 1 and 2 Heavy Batteries, which 'obtained very useful results by practice over the ranges, which offer peculiar facilities for observation of fire, and much valuable knowledge has been gained by officers, non-com officers, and men.' 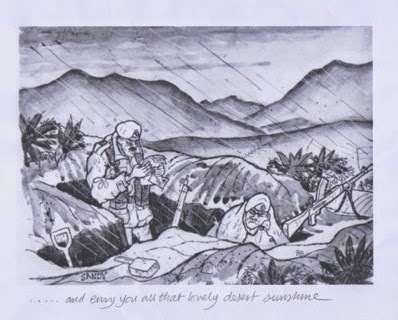 The weather had been 'very favourable..on no occasion has firing been interfered with by mist and rain.' © Local World Limited. The paper further reported that the view of 'official circles in Berlin' on the situation between Austria and Servia (as the country was then called) after the assassination of the Archduke Franz Ferdinand and his wife in Sarajevo, was that if there was an armed conflict it could and ought to be localised. Count Reventlow, then a journalist writing in the 'Tageszeitung' (German Daily News) asserted that 'the tendency of German policy is not insistently warlike and..Germany does not wish an armed conflict between Austria and Servia' but that 'public opinion in Germany is without limitation on the side of our ally, and only desires that she may vigorously safeguard her rights and legitimate interests, stand fast, and not allow herself to be intimidated.' © Trinity Mirror. But it was late that same afternoon that Count Giesl, Austria-Hungary's ambassador in Belgrade, visited the Serbian Foreign Ministry and read out to him the ultimatum to Serbia, which had been carefully composed so that Serbia would under no circumstances feel able to comply with its demands. The situation was one that we might recognise; a Great Power, feeling threatened by a terrorist outrage and determined to do something decisive, wanted to wage war, though there was scant evidence that the country concerned had anything to do with the act of terrorism. 9/11 and Iraq, anyone? The Dual Monarchy thought they could knock out Serbia, and if the conflict did spread, there was a fatalistic feeling both in Vienna and Berlin that war would have to come some time and it might as well be now. There was an Emperor in Berlin who was eager to prove himself in conflict (like George W.Bush). Serbia was given 48 hours to respond. WAR IMMINENT AGAIN IN SERBIA. The German government, it reported, was 'using its influence to localise the conflict.' © Trinity Mirror. But the match had been applied to the cord and the flame was licking along to the powder-keg. On the 28th July, Austria declared war on Serbia. *Dorothy Evans was arrested for possession of explosives, following arson attacks. Newspaper quotes all obtained from the British Newspaper Archive. 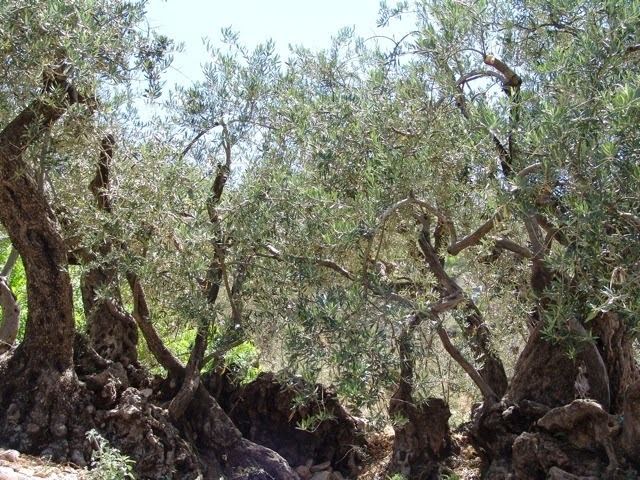 How do you define historical fiction? Is it fiction set in the past? Over thirty years ago? Or set before the living experience of the writer? 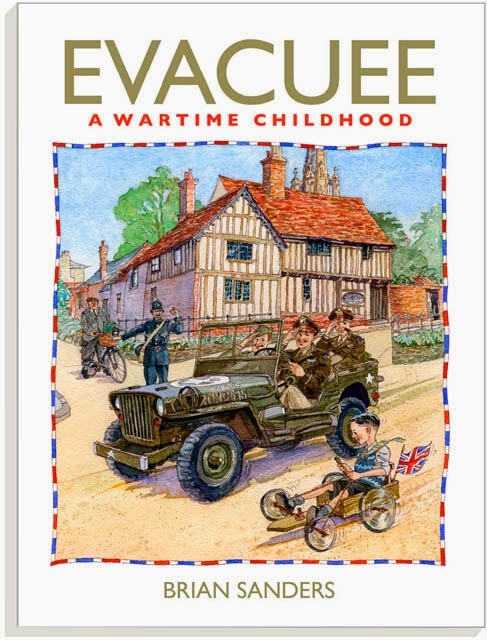 I've just finished the new draft of a novel set in the 1970s - so it is 'historical' if you use the 30 year rule. It is certainly ancient history to a group of schoolchildren I spoke to recently about 'bringing the past to life' - I showed them pictures of a penny farthing and a Chopper. Guess which one they thought we rode in the 1970s. 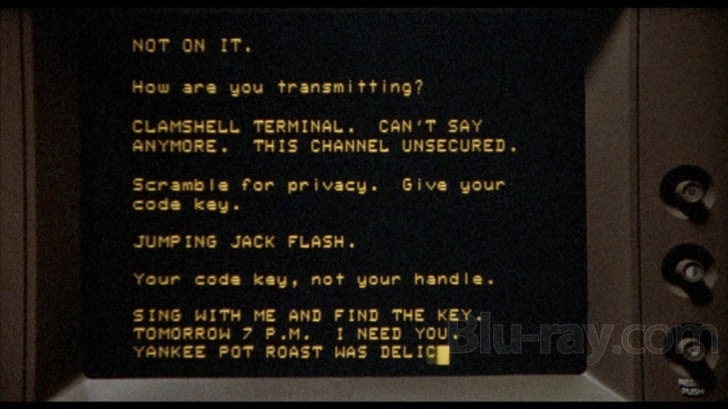 That script, with Jonathan Pryce's delicious voice bringing the typed words to life, was one of the more successful uses of technology in fiction - but boy does it look dated now. One of the best things about writing historical fiction is that the need for suspense is supported by the lack of technology. Waiting for a letter is endlessly more romantic than the instant gratification of an email or the ping of a text. Ink and paper or an 'I luv u', which would you choose? If we are, as some believe, heading towards an Omega Point of singularity in 2040, a convergence of technology and humanity, I wonder what lies ahead for future History Girls. It is enough to keep you awake at 4am, but as long as even Apple's finest is fragile enough to be thwarted by a pre-teen diving into a pool with it in her pocket, perhaps we have a few years yet to ensure the future is bright.